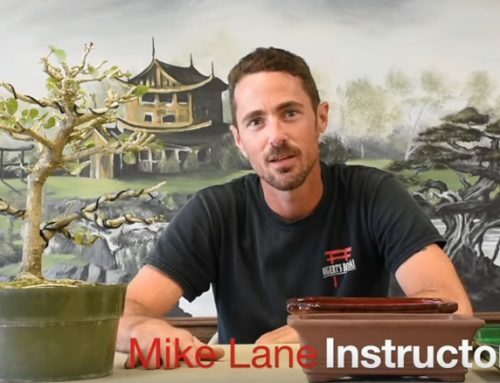 Wigert’s Bonsai was proud to have our bonsai instructor, Mike Lane, as well as many of our advanced students at the Sixth Annual U.S. National Bonsai Exhibition in Rochester, NY this September! We went overboard this time with four accepted trees at the Sixth U.S. National Bonsai Exhibition. In addition, as in prior years, we took three additional trees from fellow Southwest Florida bonsai artists on the 3,500 mile round trip from Englewood/Fort Myers, FL to Rochester, NY and back. The trip was extended a few hundred miles so that we could avoid both Hurricane Florence and the related evacuation traffic – A minor complication given the very special opportunity to be a part of the most impressive exhibition of beautiful bonsai in the country. Bill Valavanis is to be congratulated! This year it was better than ever. Fewer displays this year meant more room for appropriate space to display the trees. (Remember the phrase, “sometimes less is more”.) Still, the numbers were impressive – 281 individual bonsai from 27 states, Canada and Puerto Rico! Imagine a full professional size hockey rink packed with bonsai vendors and that is what we experienced as well! Some of us immediately headed to the display area, and others, mostly spouses, focused on being among the first customers of the many vendors – bonsai, pots, stands, slabs, supplies and equipment, and soil components. We came home with 1) a very practical, portable hydraulic lift with large wheels to help us in moving our large bonsai at home (Hopefully no more bonsai hernias in the future! ), 2) five bags of akadama, one bag of kanuma and two bags of lava, 3) numerous Sara Rayner pots, and 4) much lighter wallets! It is a good thing that we had a large capacity cargo van complements of Enterprise Rental to haul everything home. Throughout the weekend there were numerous critiques in the display area by nationally acclaimed bonsai artists – Boon, Suthin, Bjorn Bjorholm and Kathy Shaner – A great way to learn more about the finer aspects of styling and displaying bonsai. Also, there were demonstrations by the three judges – Taiga Urishibata (Japan), Mauro Stemberger (Italy) and Lindsay Bebb (Austalia) as well as Sean Smith (Suiseki expert, bonsai artist and stand maker), and Michael Ryan Bell (nationally acclaimed expert on Japanese pots). A special experience this year was the culmination of our two year club project (Sho fu Bonsai Society of Sarasota, FL) to prepare and exhibit the club owned, very large seven tree Brazilian Rain Tree Forest. Approximately fifteen club members worked with us on the Forest during preparation over the two years from 2016 to 2018. Also, eight club members were first time attendees at the Exhibition, in part because of their excitement about the project. The excitement was heightened when at the Banquet, it was announced that the Forest won the “Finest Tropical Tree” award. If you are a serious bonsai enthusiast, be sure to mark September, 2020 in your calendar and plan to attend. There is no other Bonsai Exhibition like it in the country.